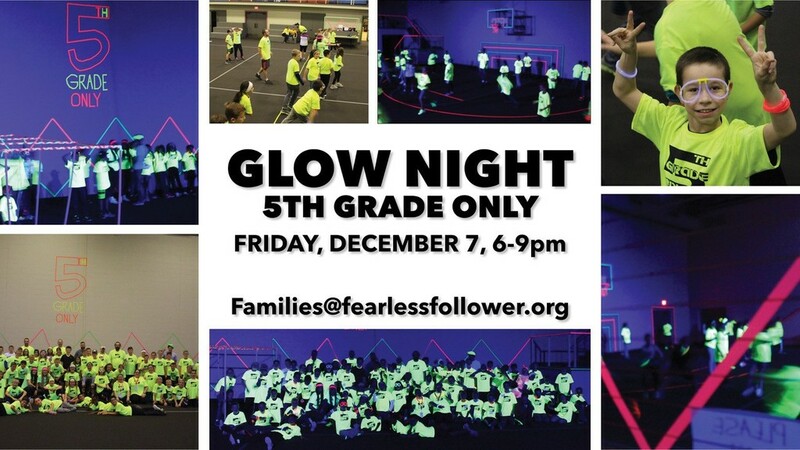 We are excited to launch our second glow night and you're fifth grader and their friends are invited! Join us Friday December 7, 6-9 PM for an evening filled with glow games, food, and an overall entertaining glow and light experience. Cost is $20 which provides a special addition t-shirt, pizza, and glow sticks!